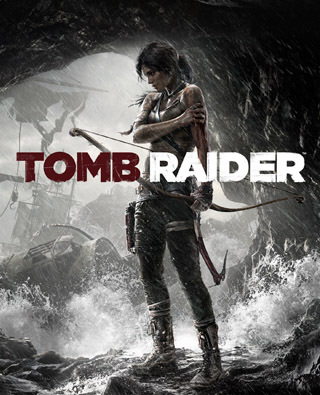 True Survivor - Unlock every Tomb Raider trophy. Intellectually Superior 50 Complete all optional tombs. Inconceivable! 50 Complete all challenges. Lethal 50 Purchase all skills in all categories. The Professional 50 Fully mod and completely upgrade all 4 weapons. True Commitment 30 Reach level 60 in multiplayer. Adventurer 20 Complete a match in all multiplayer modes. Archaeologist 15 Collect 75% of all relics. Artilleryman 20 Kill 20 enemy players in multiplayer using a turret. Bag Full O' Cache 15 Find 75% of GPS caches. Big Game Hunter 15 Kill and loot 10 large animals (deer, boar, wolves). Bookworm 10 Find 25% of all documents. Deadeye 20 Shoot 10 enemies off zip lines. Down and Dirty 15 Perform 15 finishers. Down Boy! 10 Kill a zip-lining enemy player in multiplayer. Entrapment 10 Catch a player in a snare trap in multiplayer. Epic Fumble 15 Force an enemy to drop dynamite that kills two people when exploding. Equalizer 10 Kill 75 enemies with the rifle. Escapist 20 Survive 10 explosions in multiplayer. Feather Duster 15 Kill and loot 10 flying animals (crows and gulls). Former Adventurer 20 Incapacitate 25 enemies with dodge counter. Get Over Here! 20 Rope pull 5 enemies off edges. Good Samaritan 10 Revive a teammate in a multiplayer match. Gunslinger 10 Kill 35 enemies with the pistol. Historian 15 Find 75% of all documents. Lights Out 15 Kill 10 multiplayer enemies using your melee attack. Looking for Trouble 10 Find 25% of GPS caches. Master Blaster 20 Kill 2 multiplayer enemies with a single explosive. Narcissistic 10 Purchase a new multiplayer character. Now We're Getting Serious 25 Fully mod and completely upgrade any weapon. On My Way Up 10 Reach level 10 in multiplayer. One Smart Cookie 20 Complete one optional tomb. Opportunist 15 Kill 25 unaware enemies. Picky 15 Loot 200 enemies. Predator 10 Kill 50 enemies with the bow. Relic Hunter 10 Collect 25% of all relics. Scrounger 20 Collect 5000 pieces of salvage. Sharp Shooter 15 Perform 50 headshot kills in the single player campaign. Shopaholic 20 Buy every upgrade and character in multiplayer. Tastes Like Chicken! 15 Kill and loot 10 small animals (rabbits, chickens, rats). Unfinished Business 20 Complete one challenge. Widowmaker 10 Kill 40 enemies with the shotgun. Boom Goes the Dynamite 10 Shoot a bundle of dynamite out of the air. Crab Cakes 5 Kill FeeFee the crab.